Have you seen butterfly dancing? It is a dance of colors and a real treat to watch. The dancing of butterflies takes place when the male and female approach each other prior to mating. Mating is an important process of reproduction. It is a sexual union when the male passes sperm to the female. The sperm fertilize the eggs before they are laid by the female. 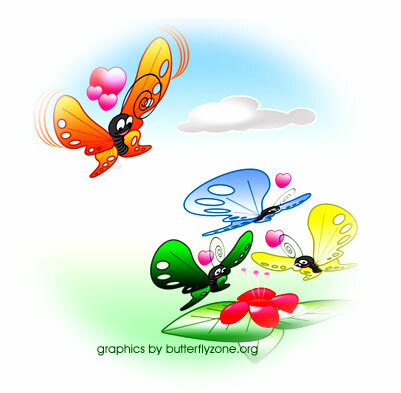 To meet a female, the male butterfly flies over areas where other butterfly groups are found. If it happens to spot a female of its choice, it hovers over it for a closer look. The male has to make sure that the female is receptive and ready for mating. Now, the male begins to flutter its wings rapidly. It releases special chemicals called pheromones. The rapid fluttering spreads the pheromones to the antennae of the female. The female is stimulated visually and is attracted by the sparkles created by the colours on the wings of the male. The male butterfly is usually larger than the female, and the spots on its wings are more prominent. The white circles of the spots reflect ultraviolet rays of sunlight. The rapid flickering of wings produces a strobe light effect. The female butterfly is very sensitive to this visual display by the male. Having attracted the attention of the female, the male exhibits a particular flight pattern. This is the courtship dance, where the female also joins. When there are more couples flying, it is a beautiful spectacle of colours dancing in the air. The flight patterns during courtship vary from species to species. Every butterfly species has its own odor. The female can smell her own kind, not other species. Once the female is interested, it alights on a plant or on the ground. The male approaches the female, and the two mate by joining together end to end at their abdomen. Soon after mating, the male butterfly often dies. This is real tragedy, but that is how, nature puts a check on the number of males as it does with the females which also die after laying the eggs. Every species in the living world has to obey the laws of nature. The only defiant species is man. This is a tragedy in a different sense.